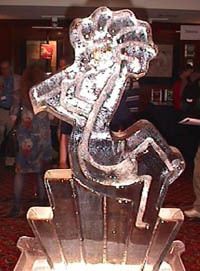 This pretty ice sculpture (of the ShowStoppers logo) decorated the main table at ShowStoppers event held at the Marriott Marquis New York (within walking distance of the Javits Center) on Wednesday evening, June 23rd, 1999. 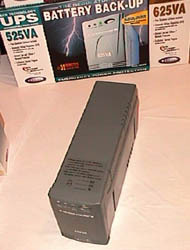 This 425 VA line interactive UPS (uninterruptible power supply) from Belkin has automatic voltage regulation, runs for 24 minutes at full load and a $60,000 connected equipment warranty that includes the industry's first data recovery warranty. The shutdown software runs on DOS, Windows 3.1+, Windows 95, Windows 98, Windows NT and Novell. Telephone/modem protection is also provided and the F6C425 retails for only $129. Belkin also has a service that helps ecologically dispose AND REPLACE the battery for only $32. With UPS units this low in cost, more people should think of using them on their desktop units. We laptop users have our UPS devices built-in, but external UPS units can help backup our docking stations and give us power protection. This $99 device helps you to "grab" a video signal from a VCR or television (NTSC source), process it or store it on the hard drive of your computer. It is useful for many applications including teleconferencing. Audio is captured through the sound card. The Belkin USB Video Bus ships with MGI PhotoSuite and Video Wave software. Documents To Go, from DataViz is a unique way to view your word processing and spreadsheet files, like Word and Excel, on your Palm Organizer. Instead of carrying a Palm organizer for only your schedule and traffic reports and a laptop for word processing and spreadsheet documents, Documents To Go lets you carry them in the palm of your hand. By simply dragging selected files into the Documents to Go window, on either the PC or the Mac, the files are automatically converted for remote viewing on the Palm organizer. 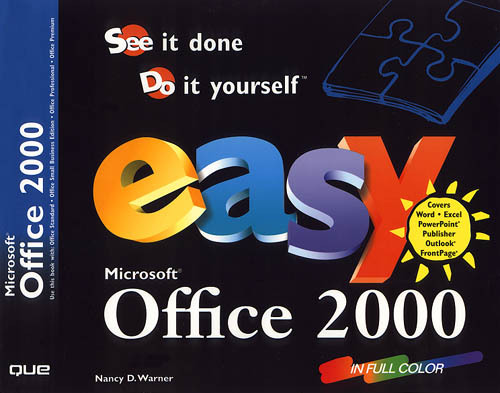 If that is too much work, Documents to Go can synchronize the Palm copy with the original source document, on the docking computer or network and automatically convert and optimize a fresh copy, for Palm viewing. 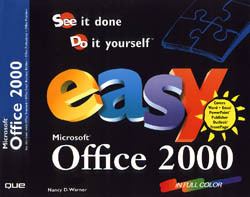 Documents to Go supports Microsoft Office, Lotus SmartSuite, Corel WordPerfect Suite and Claris Works. For an introductory price of $39.95, this product seems like a requirement for almost anyone with a Palm organizer. Docent, Inc. demonstrated the latest version of Docent Enterprise which helps organizations more easily and cost effectively develop, manage and deliver online training materials for their staff. Docent Enterprise consists of several modules: Docent Outliner, Docent Publisher, Docent Server and Docent Mobile. Outliner helps in the creation of the course content, by allowing developers to create the course structure, including the logic and the associated page links. Then course content can be easily dropped onto the outline. This content can consist of HTML documents, text documents or other web-enabled media. Non-HTML content can also be embedded into the course. Test sections can be easily built, without requiring complex Java programming or scripting. Docent Publisher allows course administrators to define the curriculum, assessment setting and upload courses to the Docent server. The Docent Server provides the services necessary for online registration, assessment and course delivery along with administrative functions and reporting. Docent Mobile give students the ability to download a course to a PC and take the course, using a standard Web browser. All course interactions, including question responses and navigation are tracked on the mobile PC which is uploaded when reconnected to the corporate network. Courses can also be distributed via CD-ROM. This system runs on Windows 95/98 and NT, with the exception of the server which runs on Windows NT and Solaris 2.5+. This software product helps you increase traffic to your Web site by systematically submitting your site to selected search engines. 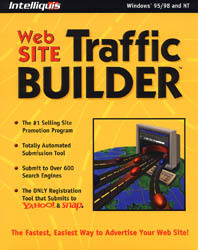 Web Site Traffic Builder is the only tool that submits to Yahoo! and Snap.com, which are challenging sites to submit to. 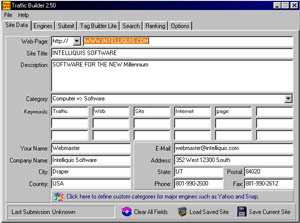 It also submits to over 900 search engines such as Go, Infoseek, Excite, Lycos, America Online and AltaVista. Each time Traffic Builder is run while connected to the Internet, it checks for updates and information about new search engines. By being a software solution, you can submit your site as many times as you want, for free. Several versions are available (Standard, Pro and Webmaster) and range in price from $69.99 to $169.99. Reviews OnLine will be reviewing these software packages in an upcoming issue. Picture CD, demonstrated at the ShowStoppers event, is a product of Kodak and Intel's joint effort to bridge the gap between traditional film photography and digital imaging. Designed primarily for the consumer, this product includes built-in software that can touch-up photos and add special effects. 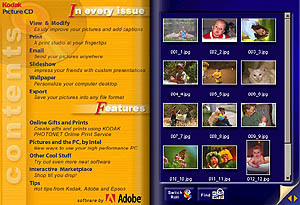 Adobe Systems has created the magazine-style program interface to make this auto-running CD appeal to consumers by being simple and easy to use. Picture CD will be available from national retailer for $8.95 to $10.95 depending on service turnaround time. Software requires a 90 MHz Intel Pentium computer (or compatible) and Windows 95/98/NT. There is some Macintosh support and Windows 3.1/DOS users can access the JPEG images stored on the Picture CD. 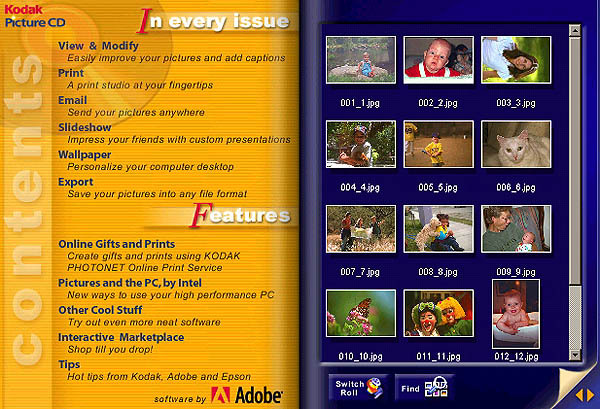 Adding software and making the CD user friendly should make this product a much greater consumer success than Kodak's first attempt at a consumer CD, the Photo CD (see article from 1993 about Photo CD ). 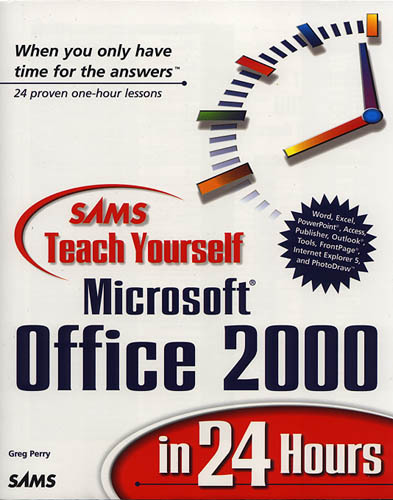 Since Office 2000 is here, Macmillan Publishing has published over sixty books on the subject, ranging from Sams Teach Yourself Office 2000 in 10 minutes, to F. Scott Barker's Access 2000 Power Programming. 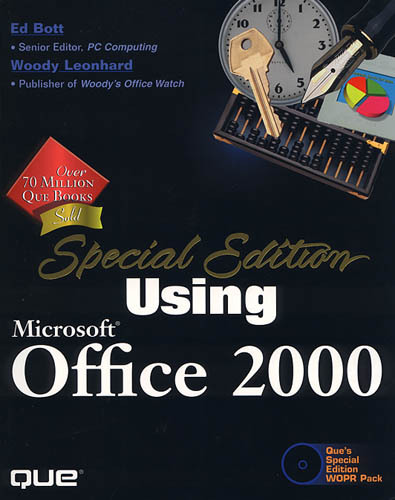 Macmillan has books for learning about the entire Office 2000 Suite, as well as portions of the 2000 suite such as Word 2000, Excel 2000, Powerpoint 2000, Access 2000, Outlook 2000, Publisher 2000 and FrontPage 2000. Pictured are a few of those 60+ books that are part of this large series. People talk about a world where your refrigerator, microwave oven and washing machine are all connected to the Internet. Ever wonder how this is going to happen? Since these items are mass produced, consumer items, they would have to have small Internet-connected computers inside them - they can't be connected to the Internet via a tower PC with a monitor and a dialup modem. Along with having to be very small, they still have to be able to automatically connect to the network. If you ever connected a network card by yourself on a LAN, you know how frustrating it can be - far from automatic. But an engineer has to make the product that can do that, at a miniature level, at low cost, in a world that has shorter and shorter product cycles. But he/she only designs refrigerators or microwaves or washing machines, not wide area network interfaces. What's he to do? 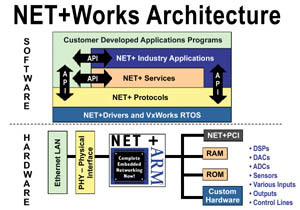 That is where NETSilicon comes in. With their NET+ARM hardware and NET+Works software, they assist engineers to more easily adapt their current microprocessor based designs to connect to the Internet via a 10/100 Ethernet connection. Their products can connect chips in the 5 to 400 MIPS range to an Ethernet LAN and support the standard protocols such as TCP/IP, PING, UDP, RARP and IGMP. Depending upon the design, these devices could also provide services such as that of an HTTP server, SMTP server, POP3 server or an FTP server. Wow! Imagine living in a world when your microwave oven emails you on your wireless PDA that your dinner is now ready. Number Nine Visual Technology Corporation demonstrated their new high-performance PC graphics card, the SR9, which was recently been selected to be the standard graphic card offering on select models of IBM's 300PL commercial desktop systems. Based on the Savage 4 Pro processor from S3, this video card features fast 128 bit processing for fast 2D graphics, excellent 3D quality, MPEG-2 DVD playback support and AGP 4X support. 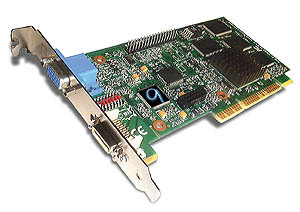 Last month (June 1999), Number Nine demonstrated the that the SR9 was the world's first graphics accelerator to support the new DVI (Digital Video Interface) display standard for a pure digital signal driving a high performance digital display device. The SR9 will be available in 16 and 32 megabyte versions and prices range from $109 to $149. The 32 megabyte DFI version is priced at $189. Wow, only a few years ago complete systems had only 16 megabytes of RAM, now you can have twice that on your video card! Paragon Software displayed FoneSync, a program which helps users of Personal Information Managers (PIMs) to more easily transfer the names and phone numbers from the PIM to their digital mobile phones. The most recent announcement is that Lotus Organizer and SmartSuite users will be able to click on an icon, integrated into the Organizer SmartIcon toolbar and automatically move names and telephones into their digital mobile phone. Previously, Organizer users had to either download FoneSync or purchase it separately. 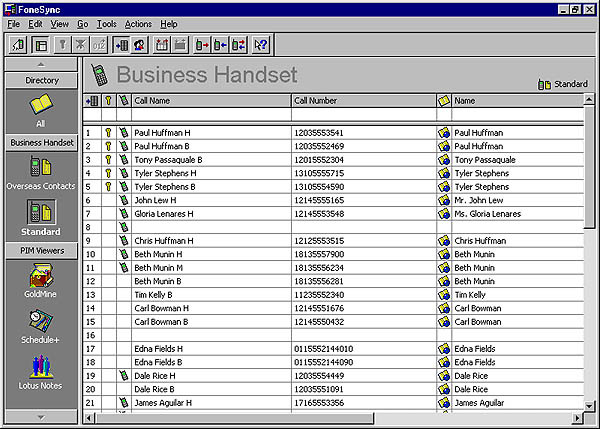 FoneSync also supports Goldmine, ACT, Outlook, Outlook Express, Office 2000, Lotus Notes and Schedule+. Some of the supported mobile phones are Alcatel, Ericsson Mobile, Mitsubishi, Nokia, Panasonic, Siemens and Sony. 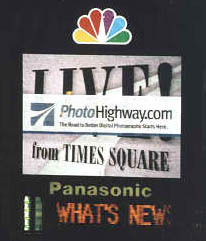 After the ShowStoppers event, PhotoHighway.com launched their new Web site and portal for digital photography enthusiasts. Built to serve the entire digital photography community, it provides information for consumers, vendors, manufacturers, educational institutions and photographers at all levels. 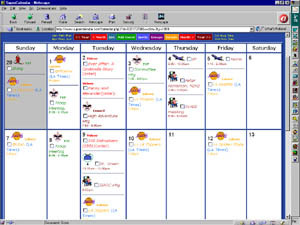 This Web site helps Internet users create a dynamic and useful calendar which highlights personal events and appointments with colorful, graphical icons. These personal calendars can also be consolidated with the calendar of an affiliated Web site. SuperCalendar's affiliate program helps web sites earn revenue from a share of the banner ads sold through SuperCalendar or by selling their own ads and paying SuperCalendar a low CPM. Integrating SuperCalendar into a site takes about 10 minutes and is ideal for non-profit organizations to maintain a calendar for their events. Use of this calendar service is free. The TalonTek MPC-2000 is an industrial PC - it runs regular Windows software, but it is more ruggedized for the mobile vehicular environment. In addition to the usual features of a "normal" PC, this AMD K-6 200 based TalonTek MPC-200 computer has a 32 to 140 Fahrenheit (0 to 60 C) operating temperature range, is enclosed in a small (4.125 in x 4.75 in x 10.5 in) metal box, includes a programmable watchdog timer, infrared keyboard connection, infrared mouse port and a fused USB port. The system also includes a bright 9 inch diagonal LCD touch screen. This unit retails for $4,995. It is intended to be used like the Clarion Auto PC but is more powerful. It is also more convenient than carrying a laptop in the car. The MPC-2000 runs directly off of 12V (8A max.) so you don't have to carry an 12 Volt to 110 Volt inverter in the car. This $49.95 software helps you backup your computer to any external media except tape (Zip, Jaz, LS120, network drives or local drives). 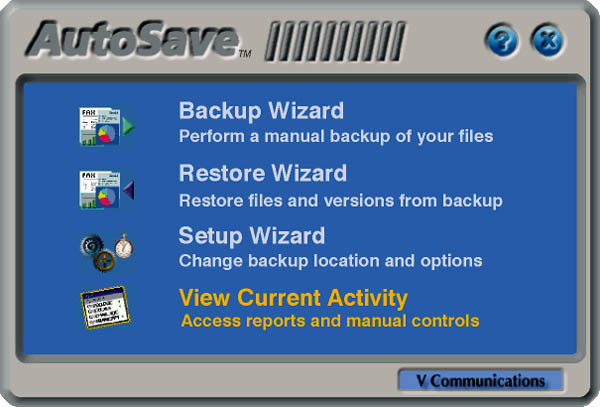 Instead of the usual, painful "let's do backup now" procedure, AutoSave, with its ActiveBack technology, backs up your hard drives while you work and creates a safe and continuous backup without any effort on your part. I like that. 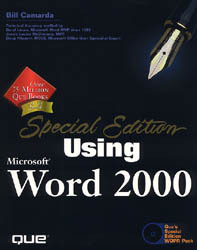 The product runs in Windows 95/98/NT and costs $49.95. Looks like cheap insurance. When coupled with the Castlewood ORB drive, the Callunacard for mobile laptops, or Iomega's Clik! 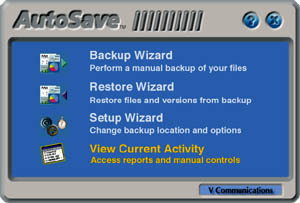 drive, this product should make painful backups a thing of the past.